BG IS SO MUCH BETTER – LOOK at her EYES! Craniosacral/Neuromuscular treatments are THE BOMB! 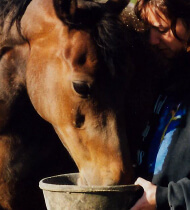 Last week I told you that I had an equine Craniosacral – Acupressure – Reiki – Neuromuscular specialist (Jeannette Burrows) here to treat BG for her body issues after a bad fall. 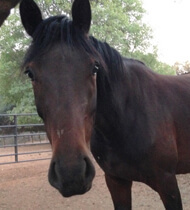 (She was treated by a vet and she had no broken bones… but she was off and couldn’t carry a rider.) You can read that story here. Now, BG has been dealing with an eye discharge for a very long time. 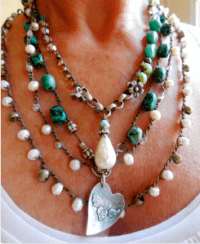 We thought it was allergies, neck worms, a tooth issue… we treated medically and homeopathically for all of that… but she continued to have constant eye gunk. For the first time in over a year, BG has no eye discharge! It cleared up the next day after the visit and has not come back since. I took these photos at dinner tonight – a full week after her treatment. No eye discharge. I hadn’t realized how dull she had become. BG has always been very reserved, but now she is much more engaged. More eye contact. This is a stunning new development because we all thought (her vets and myself) because of her hives, she was allergic to something in the air or something in the soil here. But, nothing helped her, until this craniosacral manipulation. It is as if a gate opened in her sinus that has let it all flow – and the rest of her body has had some sort of release or alignment as well..
BG is happier. She is moving more fluidly. At one point, Jeanette said that she thought BG’s injuries were very old. Like something happened to her when she was very, very young, before I knew her… and she’s been holding onto that for years. I didn’t want to think that. 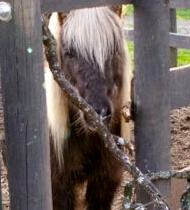 But… since BG is almost a different horse in her demeanor now, I’m thinking she might have been hiding a long-term pain. 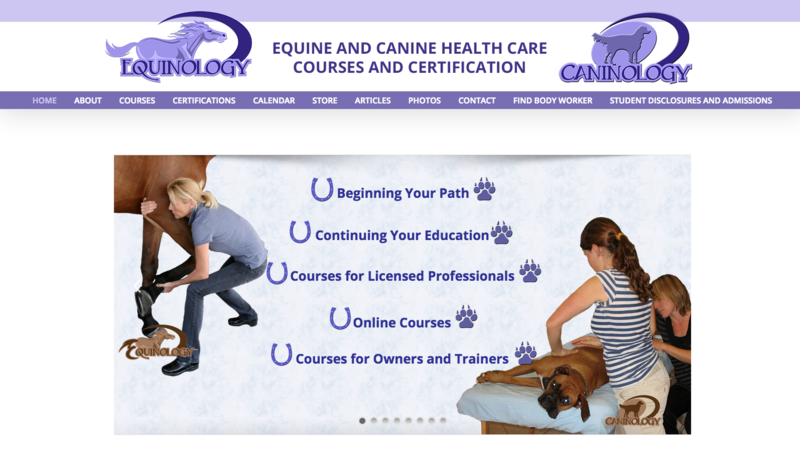 If it moves you, go find a Craniosacral – Acupressure – Reiki – Neuromuscular worker in your area. Jeannette said that these two sites might help find someone where you live. 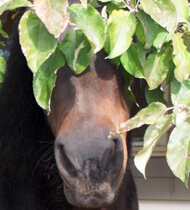 UC DAVIS: Guidelines for Horses Exposed to Wildfire Smoke – good to know for everyone! The severe fires throughout California over the past three months have exposed humans and animals to unhealthy air containing wildfire smoke and particulates. These particulates can build up in the respiratory system, causing a number of health problems including burning eyes, runny noses and illnesses such as bronchitis. They can also aggravate heart and lung diseases such as congestive heart failure, chronic obstructive pulmonary disease, emphysema and asthma. 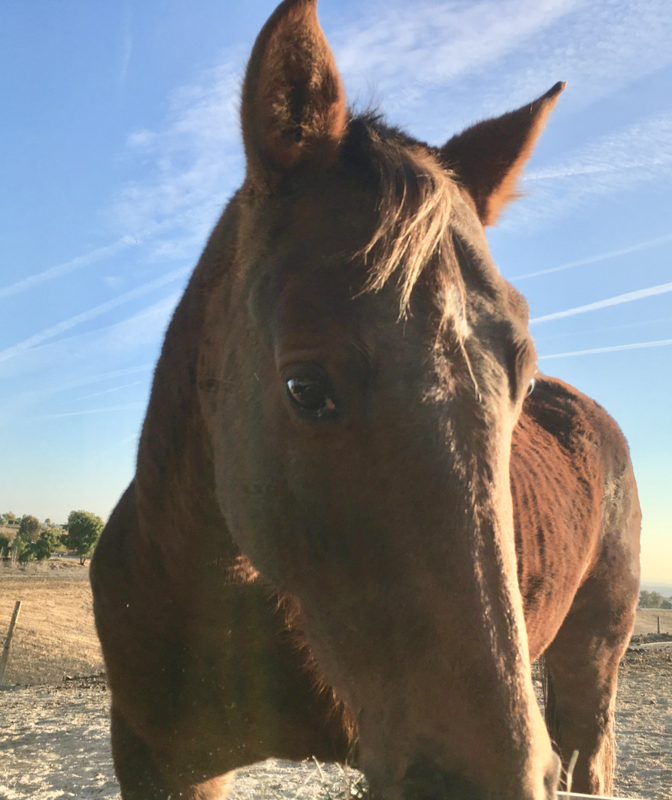 Because little information is available to horse owners and even equine veterinarians on the effects on horses of breathing air laden with particulates, UC Davis equine specialists are offering these suggestions to serve as a general guide. Smoke is made up of carbon dioxide, carbon monoxide, particulate matter, soot, hydrocarbons and other organic substances including nitrogen oxides and trace minerals. The composition of smoke depends on what is burned; different types of wood, vegetation, plastics, house materials, and other combustibles all produce different compounds when burned. Carbon monoxide, a colorless, odorless gas that is produced in the greatest quantity during the smoldering stages of the fire, can be fatal in high doses. In general, particulate matter is the major pollutant of concern in wildfire smoke. Particulate is a general term used for a mixture of solid particles and liquid droplets found in the air. Particulates from smoke tend to be very small (less than one micron in diameter), which allows them to reach the deepest airways within the lung. Consequently, particulates in smoke are more of a health concern than the coarser particles that typically make up road dust. 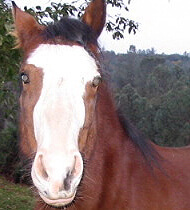 The effects of smoke on horses are similar to effects on humans: irritation of the eyes and respiratory tract, aggravation of conditions like heaves (recurrent airway obstruction), and reduced lung function. High concentrations of particulates can cause persistent cough, increased nasal discharge, wheezing and increased physical effort in breathing. Particulates can also alter the immune system and reduce the ability of the lungs to remove foreign materials, such as pollen and bacteria, to which horses are normally exposed. 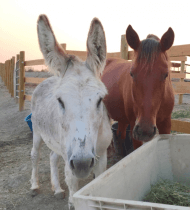 During the recent Napa area fires, UC Davis equine specialists Drs. 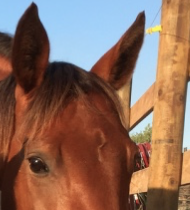 Joie Watson and Gary Magdesian created a quick reference guide for horse owners to determine potential smoke inhalation damage and a quick reference guide for veterinarians on treatment of smoke inhalation in horses. 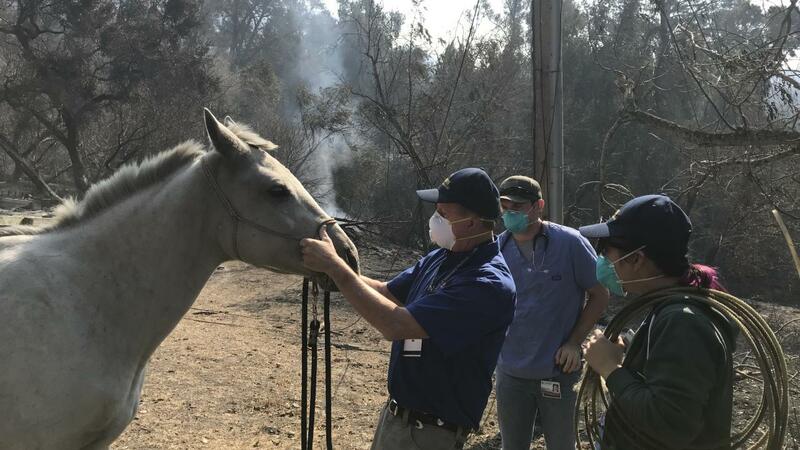 In the height of the Napa fires, the UC Davis School of Veterinary Medicine hosted Dr. Elizabeth Woolsey Herbert of the Adelaide (Australia) Plains Equine Clinic. She performed a wet lab on equine burn bandaging for dozens of students, and lectured to more than 100 faculty and students, presenting “Findings and Strategies for Treating Horses Injured in Open Range Fires.” Thank you to the Wiley Online Library for making the publication free online for owners and veterinarians currently dealing with horses with thermal injuries. Limit exercise when smoke is visible. 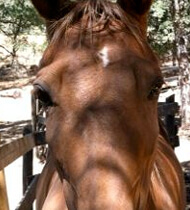 Don’t have your horse do activities that increase the airflow in and out of the lungs. This can trigger bronchoconstriction (narrowing of the small airways in the lungs). 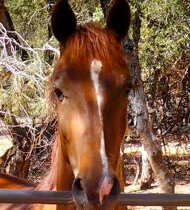 Provide plenty of fresh water close to where your horse eats. 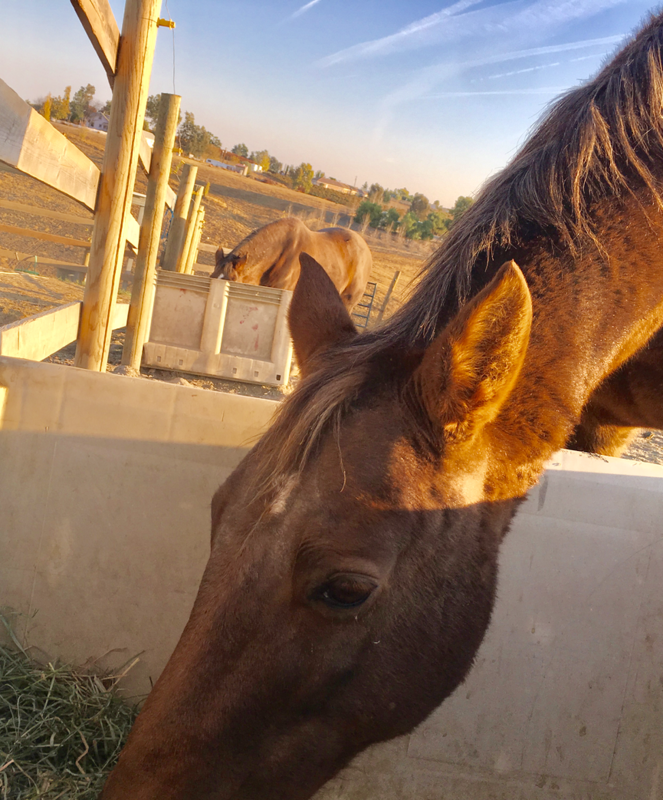 Horses drink most of their water within 2 hours of eating hay, so having water close to the feeder increases water consumption. Water keeps the airways moist and facilitates clearance of inhaled particulate matter. This means the windpipe (trachea), large airways (bronchi), and small airways (bronchioles) can move the particulate material breathed in with the smoke. Dry airways make particulate matter stay in the lung and air passages. 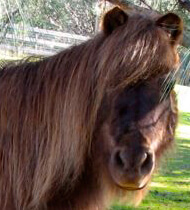 Limit dust exposure by feeding dust-free hay or soak hay before feeding. This reduces the particles in the dust such as mold, fungi, pollens and bacteria that may have difficulty being cleared from the lungs. 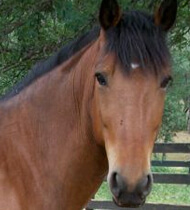 If your horse is coughing or having difficulty breathing, have your horse examined by a veterinarian. A veterinarian can help determine the difference between a reactive airway from smoke and dust versus a bacterial infection and bronchitis or pneumonia. If your horse has a history of having heaves or recurrent airway problems, there is a greater risk of secondary problems such as bacterial pneumonia. 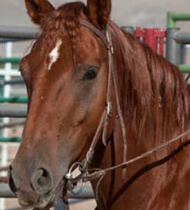 If your horse has primary or secondary problems with smoke-induced respiratory injury, you should contact your veterinarian who can prescribe specific treatments such as intravenous fluids, bronchodilator drugs, nebulization, or other measures to facilitate hydration of the airway passages. Your veterinarian may also recommend blood tests or other tests to determine whether a secondary bacterial infection has arisen and is contributing to the current respiratory problem. 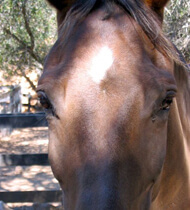 Give your horse ample time to recover from smoke-induced airway insult. Airway damage resulting from wildfire smoke takes 4-6 weeks to heal. 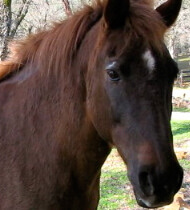 Ideally, plan on giving your horse that amount of time off from the time when the air quality returns to normal. Attempting exercise may aggravate the condition, delay the healing process, and compromise your horse’s performance for many weeks or months. While we recognize that owners and trainers of sport horses may want to return to work sooner than 4-6 weeks, Dr. Kent Pinkerton* recommends that horses return to exercise no sooner than 2 weeks post smoke-inhalation, following the clearance of the atmosphere of all smoke. 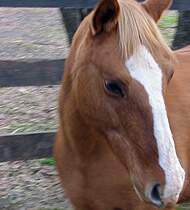 Horses, like all other mammals, tend to have an irritation to particles, but will recover from the effects within a few days. With the devastation at San Luis Rey Downs (where 46 horses died, mostly from fire or smoke inhalation), it would be wise give the horses a break from exercise and then to gradually re-introduce them back to their routine exercise. On December 10, 2017, Dr. Rick Arthur, equine medical director at the UC Davis Kenneth L. Maddy Equine Analytical Chemistry Laboratory and at the California Horse Racing Board, issued an advisory on behalf of the CHRB regarding horses at the Del Mar racetrack. Air quality index (AQI) is used to gauge exercise/athlete event recommendations for human athletes. It may be reasonable to use those for equine athletes as well. For example, the National Collegiate Athletic Association lists the following recommendations on their website: “Specifically, schools should consider removing sensitive athletes from outdoor practice or competition venues at an AQI over 100. At AQIs of over 150, all athletes should be closely monitored. All athletes should be removed from outdoor practice or competition venues at AQIs of 200 or above.” During the Napa area fires, the Napa Valley Unified School District used the AQI to determine when students should return to school. They recommended 2 weeks off based on the AQI which was over 400 and took more than 10 days to resume normalcy. 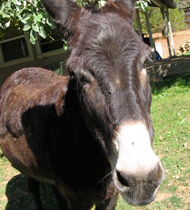 *Dr. Kent Pinkerton is a professor in both the medical and veterinary medical schools at UC Davis. His research focuses are on the health effects of inhaled environmental air pollutants to alter respiratory, cardiovascular and neurological structure and function. Special areas of interest include the interaction of gases and airborne particles to produce cellular and structural changes within site-specific regions and cells of the respiratory tract in both acute and chronic timeframes of exposure.